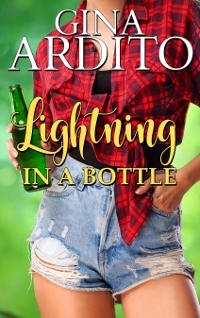 I’ll be re-releasing LIGHTNING IN A BOTTLE on March 1, 2019. In case you don’t recall, LIGHTNING was originally part of Carolyn Brown’s Blame it on Texas world in the Kindle Worlds program. Of course, because I have impeccable timing in this industry, the program was cancelled by Amazon a few months after my release. While Siobhan ponders her fate, I revised Bo’s story, removing all mention of the characters and settings of Ms. Brown’s series. There are a few new scenes and characters, as well as a new setting, but the main story has remained the same. After suffering through a humiliating divorce in New York, Bo McKenzie is out of luck, money, and patience. Arriving in Clearweed, Texas, she’s bet her last dime on the launch of her craft brewery to get her life back on track. Despite her vow to stay focused solely on the beer business, one man manages to capture her heart. Can she trust him? Drew Garwood’s one true love has always been serving the legal needs of his neighbors. His greatest trouble is keeping his brother on the right side of the law. When Bo McKenzie sweeps into town, she rouses his passion and provides the spark his life has been missing. Whatever happened before she came to Clearweed has left her guarded and suspicious. Can he break down her defenses? As the two struggle to rein in their wild attraction, secrets and greed could destroy the brewery and force Bo out of town for good. Can Drew find a way to convince her to stay? I hope you’ll be as delighted with the new version as I am. And perhaps, there’ll be new stories in Clearweed, Texas coming up!